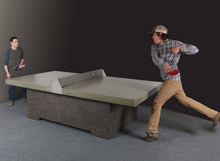 Playing ping pong does not have to be an indoor activity. 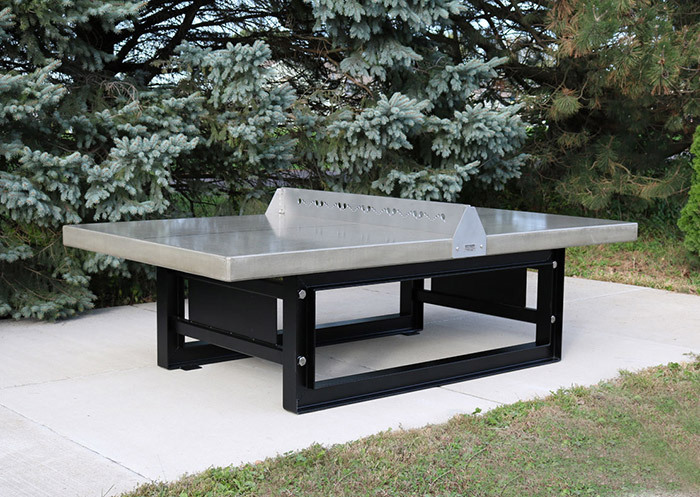 At Doty & Sons Concrete, we make concrete ping pong tables that allow you to play table tennis outdoors any time you please. 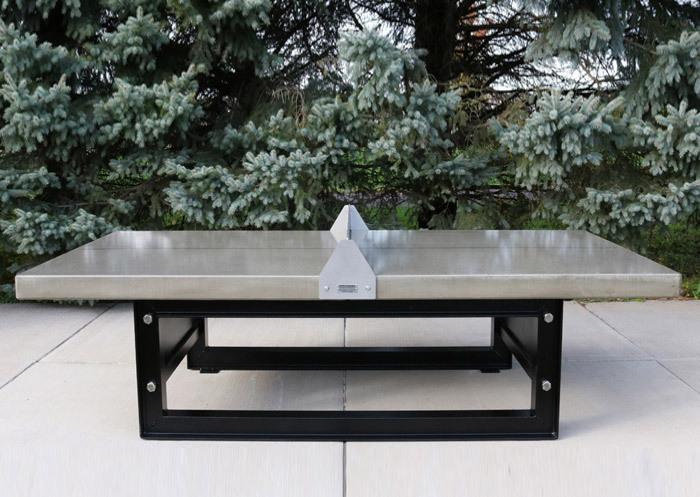 Weighing in at 2,615 lbs., our concrete and steel ping pong table is made with unmatched durability and provides resistance from weathering. 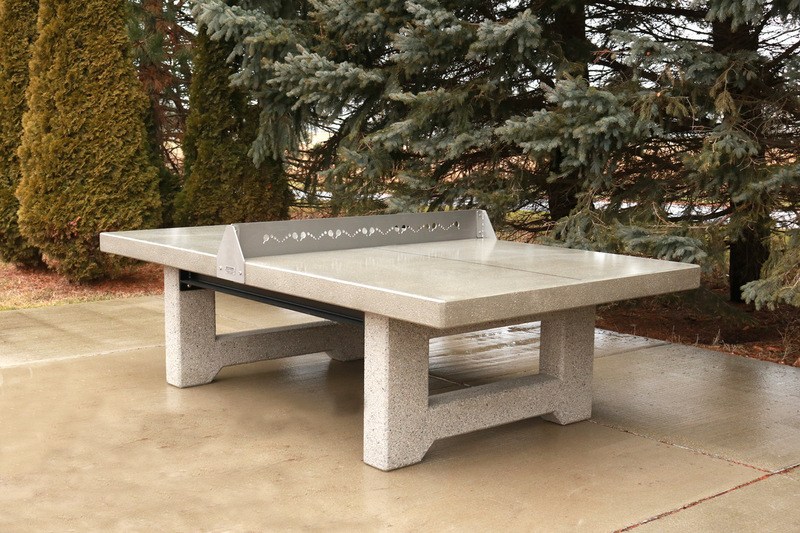 Our commercial grade ping pong tables are perfect for parks, campuses, apartment complexes, campgrounds and more, and provide a way for people to spend time outdoors and relax with a fun and stimulating game. 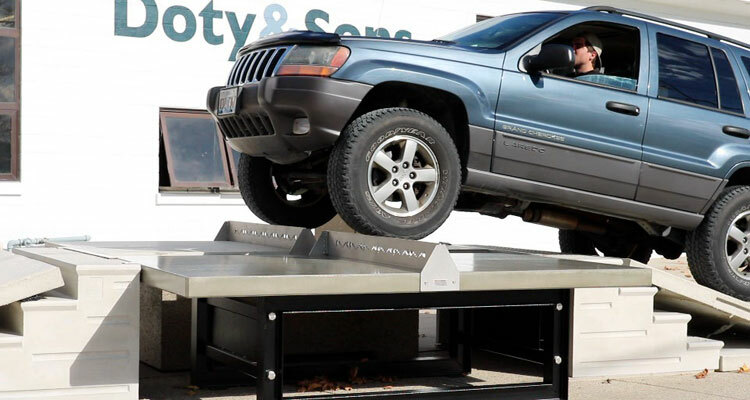 Another benefit of a concrete ping pong table is that you do not have to worry about theft in a public area. 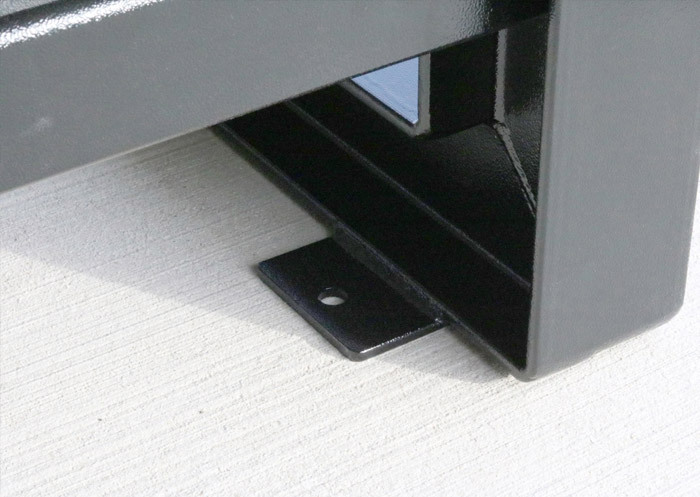 Each of our tables features tamper-resistant assembly screws, a stainless-steel net and gusseted stainless-steel end supports for added strength. 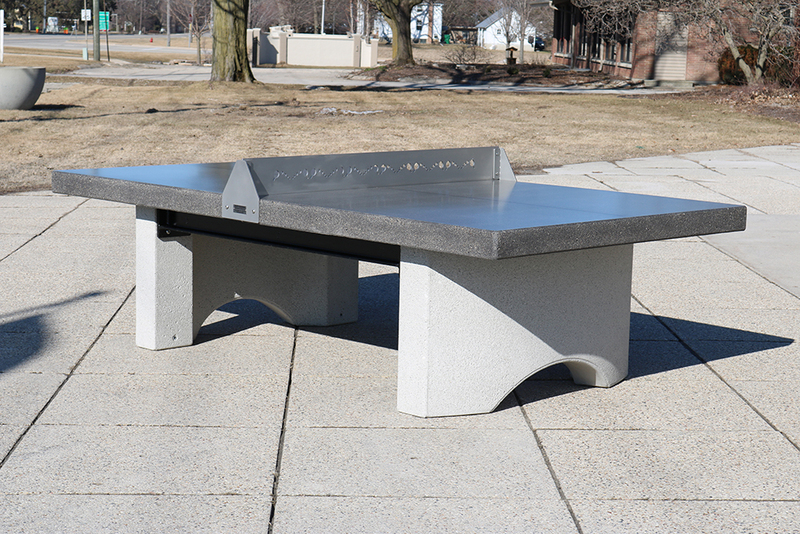 Game players bring their own ping pong balls and paddles, making these outdoor tables virtually maintenance- and stress-free. 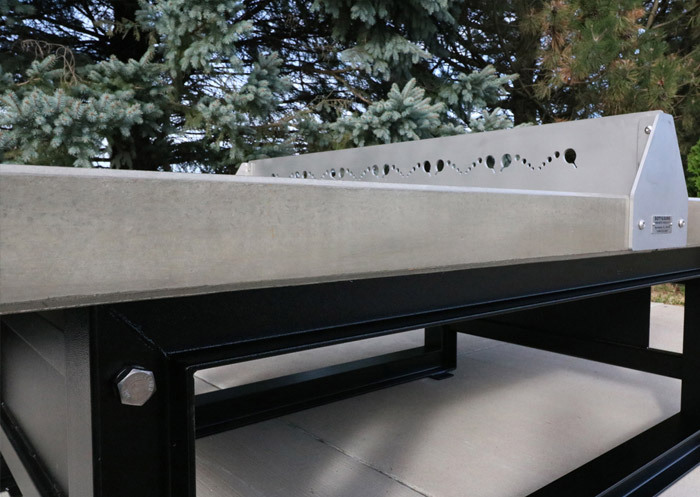 At Doty & Sons Concrete, our centralized location ensures reasonable shipping time and affordable shipping costs to any location in the Continental United States.